Is Wonder Woman Too Muscular For the Silver Screen? This is a dark summer for geek girls. Though superhero and comic book-based films are all the rage these days, it’s male crime-fighters who get all the attention: there are no films starring female superheroes on the horizon. Take the whip-smart spy Black Widow, for example. 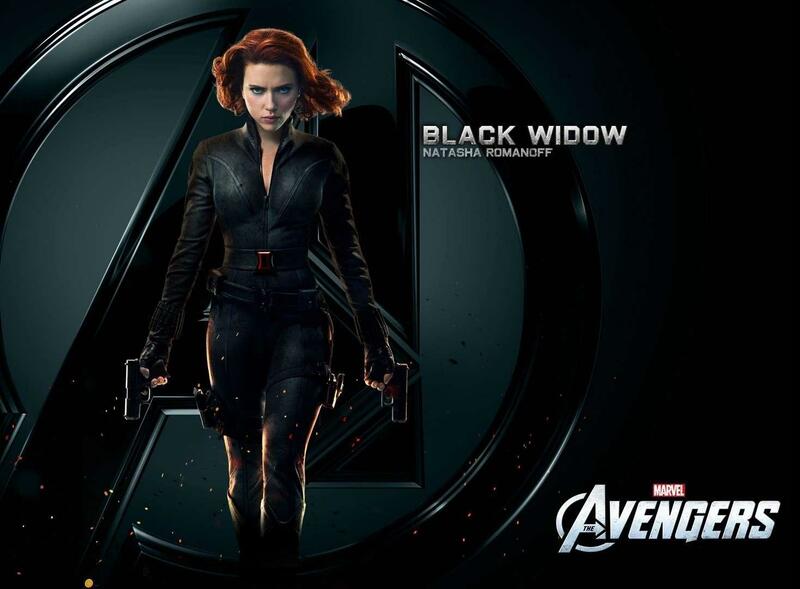 The Avengers member will co-star in Captain America: The Winter Soldier in 2014, but the buzz around a film in which she is the titular character all but died out in 2012. Likewise, every attempt to make a movie focused on Wonder Woman has failed to overcome the Hollywood “prevailing wisdom” that women action heroes don’t sell. Frankly, that argument is hollow.The Hunger Games, starring deadly archer Katniss Everdeen, took in $687 million at the box office. In comic book world, the women in the X-Men have become so popular that they now have their own comic. Joss Whedon, outspoken critic of the lack of women heroes in film, is adding a woman to Avengers 2 with the Scarlet Witch. Yet the total number of women on screen is shrinking. So why are there so few female superhero films? Hollywood’s extreme beauty standards mean that studios only want to make films starring a particular kind of beautiful woman, super heroines included. For example: Would a She-Hulk movie ever get off the ground? This isn’t a wild idea—She-Hulk has been a part of the Avengers (she’s Dr. Bruce Banner/The Hulk’s cousin) and the Fantastic Four, and both franchises have new movies coming out in 2015. She has been a member of S.H.E.I.L.D—about which Whedon is currently making a TV show. She even once had an affair with an X-Man called the Juggernaut. 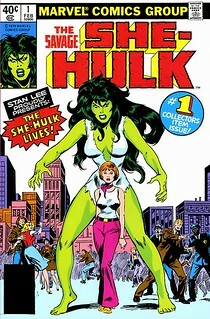 She-Hulk is very much a part of the mythological universe that makes up these currently popular stories. But would major studios ever make a She-Hulk film? She’s green. She’s angry. And she’s big. Having only been exposed to the Hulk’s blood and not to actual gamma radiation, she is less monstrous than he and has more control over her powers, but she is arguably the most muscular woman in comics at 6’7″ and 600 pounds. Shapely, flexible Black Widow is clearly an easier sales pitch. A Justice League movie is in the works for 2015, and as of now, Wonder Woman is slated to be a part of it. But it’s going to take more than vocal comic book fans to get DC Entertainment to cast a woman who could believably be an Amazon. 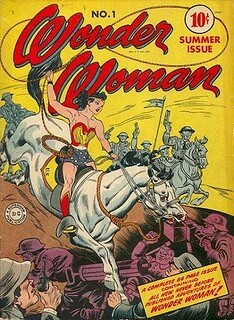 According to the 2004 DC Comics Reference Guide, Diana Prince/Wonder Woman was 6′ tall and weighed 165 pounds. However, according to the current DC Database, she’s 6′ and 130 pounds. At this rate, in a few years she won’t be able to stand up. But she will be more likely to get her own movie. Man of Steel does feature a female supervillian: Faora of Krypton, a version of whom appeared in Superman and Superman II. Being Kryptonian, the earth’s sun gives her the same powers it gives Superman. Given that and the casting of Antje Traue, who ably defeated aliens and humans alike in Pandorum, I’m guessing Faora will be capable of wreaking quite a bit of havoc. But it’s not her movie, and it’s a little hard to really celebrate a character whose primary motivation is a hatred of men. Nor is it a coincidence that the most badass woman on screen this summer is also a bad guy. It speaks volumes that Hollywood is willing to bank on superheroes who still fit into very, very narrow and petite beauty norms. Watching a grown woman fight requires us to confront our underlying suspicion that some women will never conform. The stunning and talented women in this summer’s blockbusters are not the problem. The problem is a culture that can only stand to see women heroes who weigh no more than the average 16-year-old girl. The truth is that women of all sizes can be heroes. They already exist as such in comic books for now. Let’s get some up on the silver screen. Come follow hld6 at http://hollyderr!